THE STUDENT Thomas Espin was highly motivated by viewing the Great Comet of 1874. Even in 1888 when appointed the vicar of Tow Law, in England’s northern County Durham, he managed to combine scientific exploits with his ecclesiastic duties. Today in Part 3, our tale of English clergy continues with tidbits gleaned from Revd Fergus Butler-Gallie’s entertaining book, A Field Guide to the English Clergy: A Compendium of Diverse Eccentrics, Pirates, Prelates and Adventurers; All Anglican, Some Even Practising . I did my usual Internet sleuthing as well. From Opera Glasses to a Calver Instrument. The Reverend Thomas Espin began his astronomical studies with a pair of opera glasses, but soon progressed to bigger and better instruments. In time, he became known as the best of Britain’s amateur astronomers. By 1915, Espin had a 24-in. 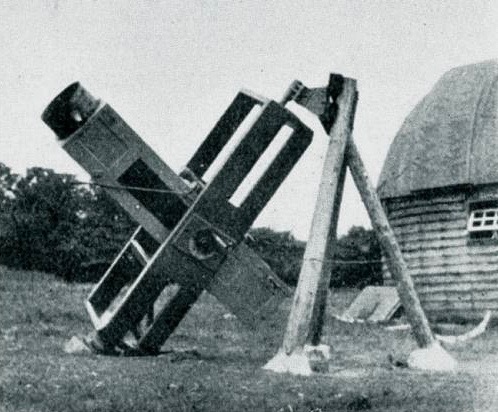 reflector telescope made by instrument specialist George Calver. To put its size in perspective, another of Calver’s 24-in. telescopes was built for the Royal Observatory Edinburgh. For comparison, this telescope incorporates an 18-in. mirror by George H. With, 1827–1904. Image from the British Astronomical Association. Years after Espin’s death in 1934, his 24-in. Calver was found in the vicarage henhouse. Now restored, it resides in the Newcastle University observatory. Espin’s International Recognition. Espin earned fellowship appointments to the Royal Astronomical Society of Canada in 1895, the Astronomical Society of Mexico in 1911, and the Astronomical and Astrophysical Society of America in 1914. Espin took special interest in red dwarfs, stars with traces of metallic oxides in their spectrum. In 1890, he published a catalog of such phenomena. Espin’s discovery in 1910 of a previously uncataloged red star, named Nova Lacerta (“New Lizard”), led to his being awarded the Royal Astronomical Society’s Jackson-Gwilt Medal in 1913. Espin also got interested searching for double stars, pairs that appear close to each other when viewed from Earth. He and an assistant mapped 2575 of these astronomical oddities, a prodigious feat. In 1971, a crater on the dark side of the moon was given the name Espin in his honor. 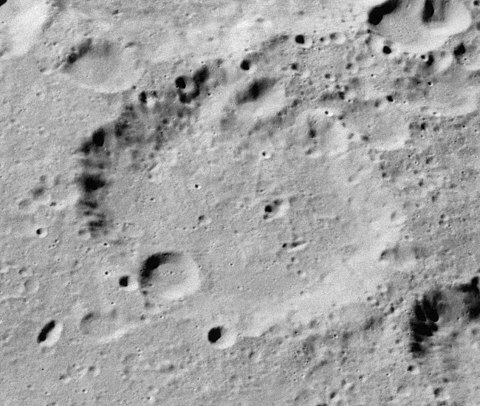 An image of the moon’s Espin crater, photo taken during the Apollo 16 mission. The crater is about 45 miles in diameter. Espin’s X-Ray. News of the 1895 discovery of x-rays by German Wilhelm Konrad Rontgen got Espin interested in this technology. Before long, he was taking x-ray images using a huge 24-plate Wimshurst machine. 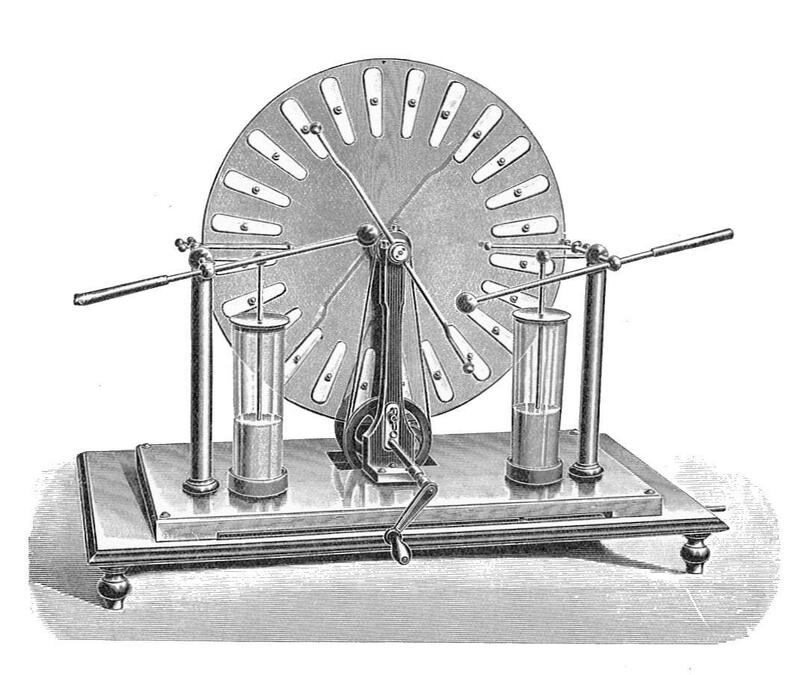 A Wimshurst machine is an electrostatic generator capable of giving off high voltages. It was developed between 1880 and 1883 by British inventor James Wimshurst. X-rays were not for the faint of heart back then. Yet, in 1911 The Northern Echo newspaper reported that “A good deal of benefit was accomplished” when doctors referred their patients to the Reverend Espin. His other contributions included a gymnasium and rifle range in the vicarage cellar for his Scouts and Church Lads’ Brigade, an aquarium for his collection of tropical fish, a large library of medical books, and a small sanatarium on the vicarage grounds for those suffering from tuberculosis. 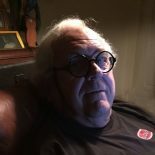 This entry was posted on February 7, 2019 by simanaitissays in And Furthermore..., Sci-Tech and tagged "A Field Guide to the English Clergy" Revd Fergus Butler-Gallie, "The Star of Tow Law" Keith Proud "The Northern Echo", Espin crater (far side of the moon), George Calver English telescope specialist, James Wimshurst machine (electrostatic generator), Reverend Espin's x-ray machine, Reverend Thomas Espin's complementary view of faith and science, Reverend Thomas Espinell Compton Espin cleric astronomer, Royal Astronomical Society Jackson-Gwilt Medal.